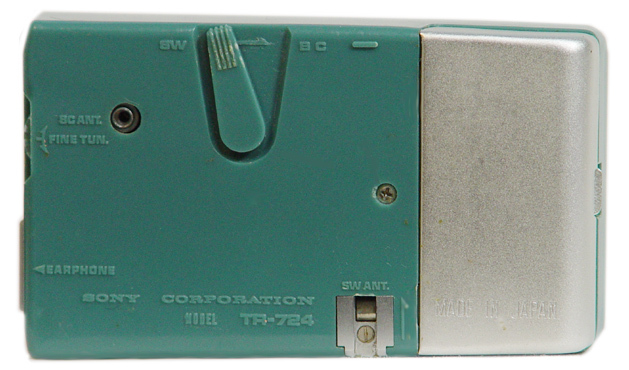 The Sony TR-724 is a 7 transistor, two band compact AM and shortwave portable. Band selection is via a lever on the rear panel. AM band coverage is 535 to 1605 KHz. 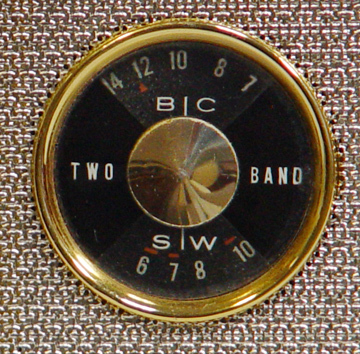 Shortwave coverage is 3.9-12 MHz in one band. The band selector is on the rear panel. The right side panel has an earphone jack and Fine Tune control. 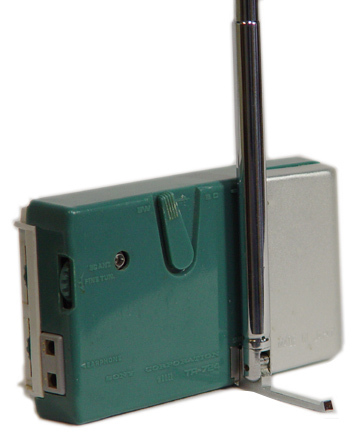 The radio has an internal AM bar antenna. 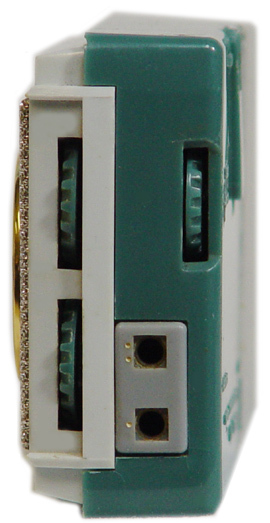 For shortwave, a removable plug-in, telescopic whip is inserted into the base of the rear panel. 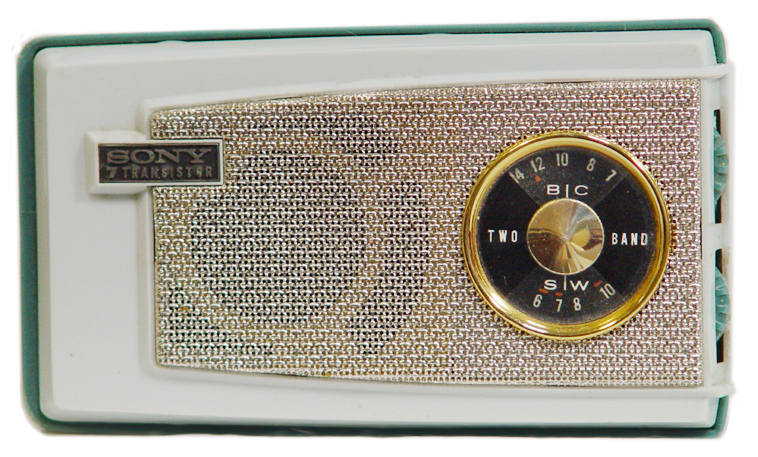 Supplied with a black leather case that holds the radio and the telescopic antenna. 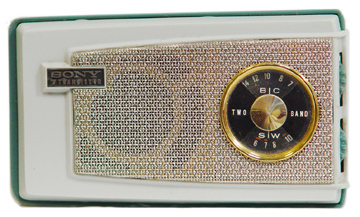 This radio operates from a 9 Volt battery (not supplied). 4.5 x 3 x 1.25 inches.